Hard rock with prominent heavy organ. Should appeal to prog fans due to it's eclecticism (classic and modern metal, Renaissance music, funk, 70's prog, etc.) and the 20-minute title piece, depicting a young man's descent into drug abuse. 3. Iii. F. A. T.
The legend of Sleepy Hollow begins in Lodi, NJ during the summer of 1999. Joe Dell (former keyboardist/founder of progressive metal band Spectrum Green) approached bassist/vocalist Dan Castiel (of Thrillseeker, etc.) about forming a band. They formed a vision of a band that would be firmly based in classic hard rock and metal, yet incorporate varied, eclectic influences - classical, jazz, folk, funk, etc. Dan also brought the idea of a band of equals, where all members sang and all instruments contributed equally to a greater whole - and idea well supported by examples such as the Beatles and Pink Floyd. They soon added Frank Melick, an inventive drummer and excellent backup vocalist (as well as a fine lead vocalist and showman). They finished the lineup with eclectic guitarist Matt Schwarz - who compliments his power metal electric guitar riffing with a background in classical and traditional folk, and a varied arsenal of other instruments (including flute, acoustic guitar, and Celtic harp with Sleepy Hollow). Within months, they were performing 2 hour sets of (mostly) original material at nightclubs, bars, and small festivals. 2000 saw them recording their 4-song EP (also available from CDbaby) - each song featuring a different band member on lead vocals. The CD was well-received and required a second pressing in a year. 2001 saw Sleepy Hollow focusing on NYC clubs. The shorter sets and quick set-up time brought an emphasis on songs centered around electric guitar and organ, with less use of piano, acoustic guitar, and flute. The band decided their next album would focus on this hard-rocking material, and entered the studio towards the end of the year with this in mind. Although the recording went quickly - the songs having been well practiced on the live circuit - the final mix lost the heaviness the band had worked so hard to get live, and they decided to remix. After a long search for the right engineer, they decided on Rick Bennett (known for his guitar playing with Naughty Angel,Haphazard, and live Dio). Many of the guitar parts were re-recorded with Matt drop-tuning his guitar, and Rick helped get the songs a heavier sound in the mix. Finally, after further delays with the graphic design, pressing, etc. the disc was released early in 2004. The centerpiece of the album is the 20-minute, 8-part suite "Goin' Over", containing music and vocals by all band members, and based on an idea of Joe Dell (influenced by the hardships he's seen where he lives). It tells the tale of a young man's descent into increasing drug abuse, using different styles of music to portray the different drugs. The piece opens with Matt's Renaissancey "Broken Water", using acoustic guitar and flutes to portray the innocence and purity of our young hero's birth and early years. The classic hard rock of "Seedy Sales" sets him on his path in high school, from which he proceeds to a Funky Acid Trip ("FAT") with some raunchy lyrics (sung with relish by Frank) to fit the driving, funky groove. "Bad Reflection" brings a faster trip with speed metal, and leads with the heavy grooving nu-metal of "Blast Off" (which manages a nod to King Crimson). "Collapse" brings our tale down from a heavy, shifty-metered prog-metal rush to a mellow, Pink-Floydian calm. A soaring guitar solo sees our victim's soul leave his body, followed by the cathartic "Farewell to a Friend". "Broken Wings" recaps the opening theme on harp, as we envision the protagonist joining the heavenly hosts. The rest of the album is made up of five shorter songs, exploring different feels of hard rock. "Pay the Price" is aggressive, straight forward hard-rocker from Dan. Joe delivers a catchy, radio-friendly ode to Generation Whine with "90's Chile" and a heavy dirge (with a solid groove) with "Under the Ground" (telling of his fears of being buried alive!). Progressive metal fans should delight in Matt's artsy "Mare Crastinum", containing poetic lyrics and a classical instrumental section where all four instruments swirl around each other. The heaviness and darkness of the rest of the album is finally dispelled with Dan's anthemic Rock Hard, with all four members traiding vocal lines. A bonus disc contains the "movie version" of the title track, with spoken sections interspersed with the music to flesh out the story. 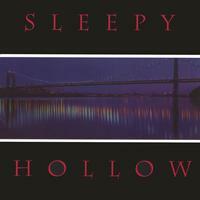 New Jersey`s very own Sleepy Hollow returns with their first full-length album "Goin` Over". A little heavier than the "Soundwell" EP of 2001, "Goin` Over" features the same line-up as the EP; Dan Castiel on bass/vocals, Joe Dell on keys/vocals, Frank Melick on drums/vocals and Matt Schwarz, guitars, vocals, flute and harp. [Melick and Castiel have since departed.] Like their last recording, Sleepy Hollow`s sound can best be described as a clever mix of `70`s Prog Rock [think mid-period Genesis, early Kansas and esp. Jethro Tull] and early `eighties Hard Rock/Metal. There are 6 tracks here, starting off with 20-minute title epic. Brilliantly conceived and executed, the song consists of 8 sections, each depicting [in the band`s own words] "a step in a young man´s descent into heavier drugs and death with a different style of music - Renaissance, classic hard rock, funk, speed metal, rap metal, prog-metal, 70's mellow prog, a cathartic guitar solo, and the sounds of a harp as our hero´s soul ascends to heaven." Whew! This masterpiece could well be the band`s own "Supper`s Ready"; each passage segues flawlessly into the next, bringing the tragic tale vividly to life. Now THIS is what the Prog-Rock genre USED to be! The remaining 5 songs continue mining the same creative vein. "Pay the Price" is a fist-pumping Hard Rocker while "Under the Ground", is a heavy Doom affair dealing with being buried alive. [!] "90's Child" is a clever, catchy tune about the aforementioned decade`s whiney offspring. The highly inventive "Mare Crastinum" [written by Schwarz] is next, followed by the Deep Purple-ish old school anthem "Rock Hard", which does indeed! Also included is a bonus disc with acted, spoken parts added to the "Goin´ Over", giving the intriguing story more clarity, not that it`s really needed; just a nice little bonus... With this album, Sleepy Hollow raises the bar not only for themselves, but for other artists in the genre. But the band`s ability to top themselves is what sets them apart from "the rest". Now will someone please tell me WHY, with all the talent and vision they possess, this band are laboring in the shadows while those with FAR less talent and ability get the money and praise?! Let`s try to change that, shall we? Go and buy the album, turn off the lights, kick back and CRANK this baby! Highest possible recommendation!!! Love it! The bonus disc is incredible! Another first for the Sleepy Hollow! wow! They are more than a rock band, they are artists! The Goin Over suite is fantastic! I love the way each drug is represented by a different style of rock or metal! The harp is beautiful at the end, had me in tears! The 5 indepentent tracks hold together well, like Rush 2112. Mare Crastinum is great, like the old Metallica. Under the Ground is so heavy! I like the ssong intro's as well, 90's Child! whew! I am not even going to say, you discover it yourself. I wish it didn't take me so long to find out about these guys! Music supports dark thematic material well, lyrics a bit forced. This is a rock opera that centers on a character named Tony Peace. He appears to be a good-natured soul that falls in with the proverbial "wrong crowd" that leads him into a world of drugs. The play is divided into eight acts that each chronicle Peace's demise and descent into addiciton. Disc one, most likely designed for airplay, features all eight acts of the play sans dialogue, with additional tunes separate from the play. Disc two is the complete audio play with actors reciting a storyline that links each song together. The music, which seems to draw heavily from gothic and classical sources as well as Deep Purple and Vanilla Fudge, supports the dark thematic material well. However, the lyrics, especially when not supported by the connecting storyline, seem overwrought and a bit forced.